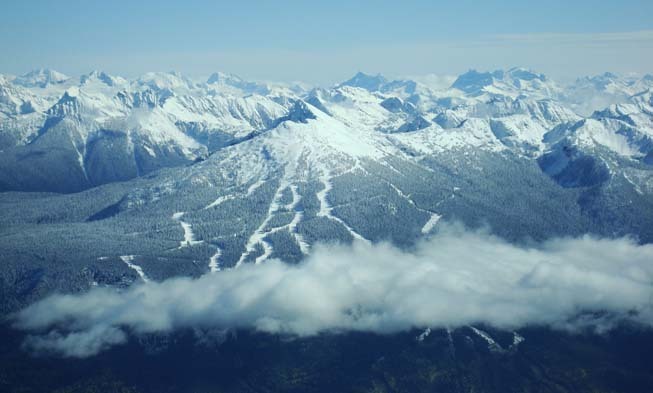 Finally the season is here, Revelstoke Mountain, BC, opens today! You lucky ones that are in the neighborhood…. With more than 280cm snowfall already, don’t miss the opportunity to shred some virgin powder lines as Revelstoke Mountain Resort opens up today, Saturday November 29! The base is well over 1 meter and amazing conditions. A simply great start to the season! Every new ski season starts with the optimism that this will be the best season ever. When the snow doesn’t show up, skiers will go to ridiculous lengths to make it happen. Check out as Cody Townsend, Chris Rubens and Mike Douglas enjoy a midseason dump after a slow start to winter. Northern Escape Heli-Skiing… check out and grab the few remaining seats this season. Northern Escape is nearly sold out, so don’t miss to check out and grab the last seats while the’re still available. Join us for opening week and bring your snorkel! This is John’s favorite week because it’s always the deepest! Snag the winter opener and some of the deepest snow of the winter. Join the Norwegian Woman’s National Ski Organization for a week of hot tubbing and turns! OK, well, they might not be the woman’s national lineup, but they certainly are a group of fun loving Norwegians! This is a Classic package, but the groups will be limited to just 2 groups in the Koala. Just 2 seats left to get in on a Semi-Private for the price of a Classic. Grab a quick winter get away to satisfy your deep powder cravings! Just 3 seats left here. Join a fun loving group that has been with us since our first year. This is again a 2 group Classic so get in on the Semi-Private action for the price of a Classic. 2 seats left to fill the group. Join our contest winner for 4 days of deep powder amongst the spectacular Skeena range. 2 seats left. Just 1 seat left in this prime week. This is a rare seat available at this time of year. The Long-range Weather Forecast says this will be the best week of the winter… The Farmer’s Almanac says big snow… what’s your prediction? Join us and see your dreams come true! Long sunny days and deep powder on the north side… That’s what this week historically offers. Join us for the last weeks of winter before spring arrives. Check out this new Warren Miller trailer! Amazing coupling of new-school development with trademark vintage footage. The progression of the sport, from spread eagles in the 1970s to the extreme ski flying of today. Join GO Heli & Cat Skiing and Peak Performance, at Emporia Shopping Mall in Malmo, Sweden! Finally the season is getting close! We kick off with the first afterski… a joint event at their store location at Emporia shopping mall in Malmo, Sweden. Join us on Saturday, 29 November, from 3-7pm, and hang out! Peak Performance will show the new skicollection. We will make sure you get inspired and get all your questions about heli-skiing and cat-skiing in Canada and Alaska answered… and you can even take the opportunity to book the most amazing heli-skiing or cat-skiing experience. We’ll also show movies from our great heli-ski operators, and from Peak Performance. We look forward to see you and hang out. This will get your Monday go a little faster check out the trailer from epic ski flick Almost Ablaze from Teton Gravety Research, by far the most talked about ski flick this season. Now we can offer all customers a special deal! 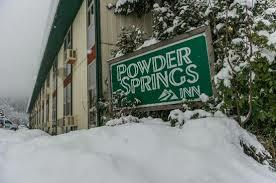 We’ve partnered up with Powder Springs Inn, the premier skiers hotel in Revelstoke. All our customers get a substantial discount when booking through GO Heli & Cat Skiing. Better prices than the hotel discount sites guaranteed. Revelstoke backcountry never cease to amaze. The wildlife photographer Jim Lawrence snapped this picture a few days ago by the river outside Revelstoke. When Jim went to get a close-up camera lens from his car the bear scrambled up the bank from the river to where he had positioned his camera tripod. 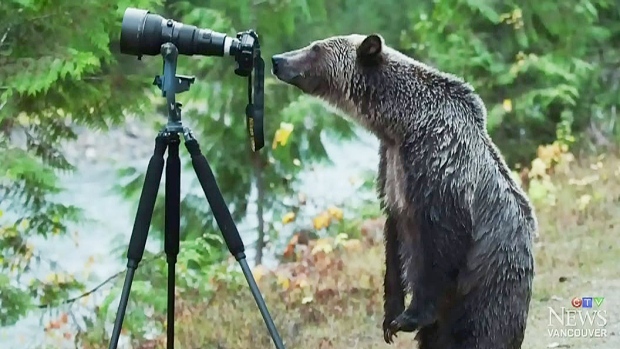 What happened next amazed Jim… the bear stood up on its hind legs and cautiously approached the camera. “For the longest time he studied the screen and buttons and with his big, long-nailed paw, and gently tugged on the strap,” he said. Provincial British Columbia biologists estimate that there are up to 15,000 grizzly bears in the province – about a quarter of the North American population. But other scientists claim it is nearly impossible to properly count grizzly bears, and their population could be fewer than 6,000 in B.C. Have you ever had ski boots that were so uncomfortable that you’re sure the only solution is amputation? Before things get that drastic, you should consider seeing a professional… professional boot fitter that is. When it comes to finding the right boot for you, there are a few things to keep in mind. First and foremost, it is important to realize that not only should your ski boots not cause you any pain, but also that the fit can drastically affect your skiing ability. 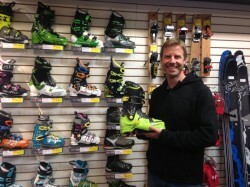 Too many times we encounter skiers that are struggling needlessly to overcome poorly fitting boots. Too large a boot can cause a skier to have limited control over their skis, and can result in toe bang as the foot moves around in the boot, too small a boot can cause cramping and lack of circulation; one of the leading causes of cold feet. 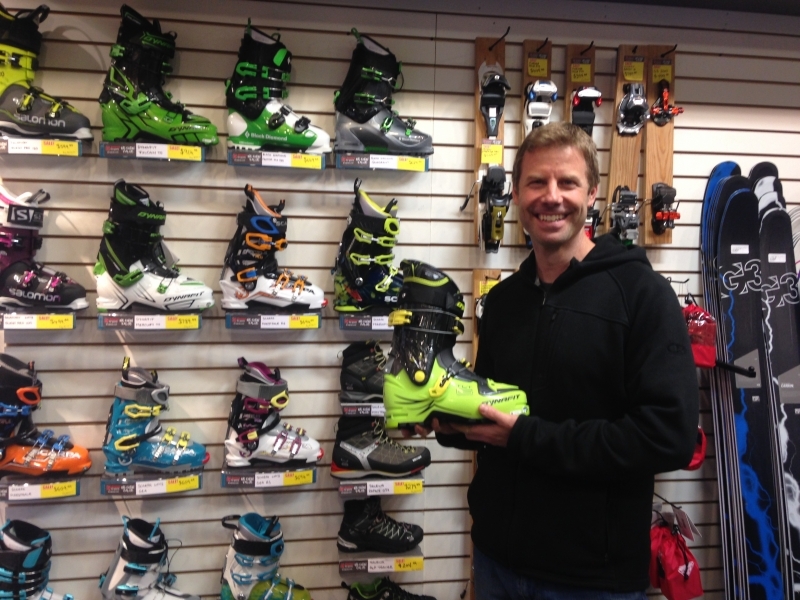 In order to help avoid cutting your days short due to pain caused by ill fitting ski boots, we’ve caught up with 22 year veteran boot fitter, Glen Delboscoe, from Excess Backcountry in Whistler, who shed insight into boot fitting and shared a story of an extreme reaction to sore feet. So there you have it – professional boot fitting; a much simpler and less painful way than amputation to get well fitting ski boots. Hopefully this season, we won’t see anyone having to return to the lodge early to rest their sore feet. The above article is from our partner Northern Escape.